First Apostolic Church is a unique congregation of family-oriented worshippers with a distinct connection to its Finnish roots. Unlike may congregations which require classrooms and administrative spaces, Faith Apostolic required a large sanctuary for family corporate worship, and a large dining hall for family fellowship, gathering and dining. 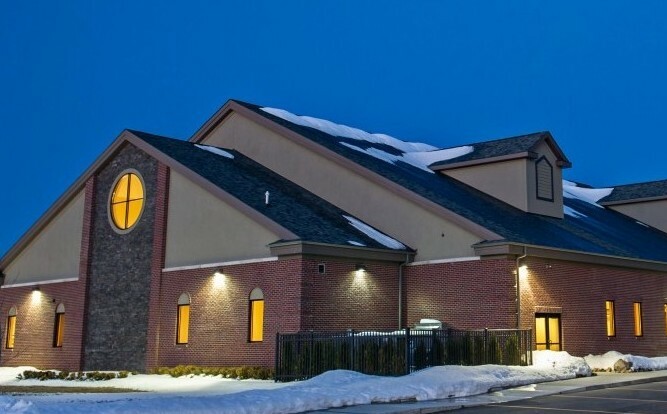 When Faith Apostolic finally sold its older building in Farmington Hills (MI), it acquired a greenfield site near Howell, MI. Plans that were previously developed needed to now be strategically positioned on the proposed site, including on-site detention and parking. Wieland worked with Ted Hu Associates to bring the project in on time and on budget.